Classic Friday Nights on TV One With Jeffersons, Good Times, & More; FEARNet Acquires Real Ghostbusters, and More! 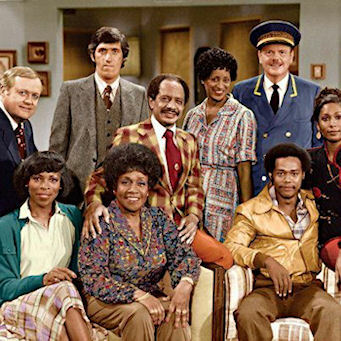 TV One is going back to the '70s and '80s on Friday nights in primetime starting this month! 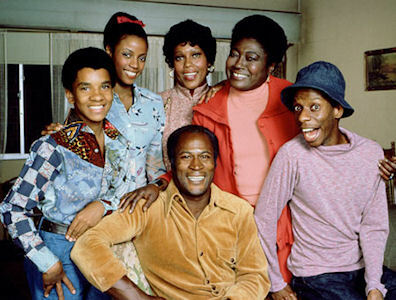 Last Friday (July 6), TV One aired a mixture of The Jeffersons and Good Times starting at 8pm and running through 2am. The rest of the month will feature these two classic CBS sitcoms as well! For the next two Fridays (July 13 and July 20), enjoy episodes of The Jeffersons in a block from 8pm-1am, with an hour of Good Times at 1am. On Friday, July 27, Good Times takes over the entire block starting at 8pm. In August, we have more shows being added to the mix! Friday, August 3 will have two Clifton Davis series airing, first up Amen from 8-11pm, followed by That's My Mama from 11pm-2am. More marathons will be announced in the coming weeks. In other TV One news, there will be plenty of sitcom marathons/stunts, especially on Saturdays starting at 12 noon following the regular Saturday morning (6am-12pm) sitcom block. The Saturday marathon/stunts starting at 12 noon will feature sitcoms such as Martin, A Different World, Living Single, and Good Times. So make sure to check your listings to see these shows! Returning to the TV One line-up in August will be the short-lived sitcom Between Brothers, every Saturday from 10-11am in their Saturday morning block. Stay with us for further updates on TV One, as there are no new additions right now. Possibly this fall? We'll let you know on our annual cable fall schedule barrage starting very soon! Saturday mornings are about to get more cooler and '80s style when everything was great! FEARnet, cable's premier destination for horror, suspense and thriller content, is adding a new two-hour weekend programming block starting Saturday, August 18. The morning segment, dubbed "Funhouse," features half-hour animated programs The Real Ghostbusters from the '80s and Tales from the Cryptkeeper from the '90s, as well as live-action suspense dramas Eerie, Indiana from the early '90s and Canadian export Dark Oracle which aired from 2004-06. The "Funhouse" block will be broadcast Saturdays from 10 a.m. to 12 p.m. ET and re-aired the next day, Sunday, in the same time period on the linear TV channel. FEARnet's new "Funhouse" lineup marks the first time that the emerging cable network has broadcast both animated and live-action acquired series in a combined themed block of time. In fact, the block will highlight three all-time favorite television shows that haven't been nationally broadcast in over a decade. Dark Oracle currently airs on THIStv Sunday mornings at 9-10am ET. The line-up on both days has The Real Ghostbusters at 10am ET, followed by Tales from the Cryptkeeper at 10:30am, Eerie Indiana at 11am and Dark Oracle at 11:30am. 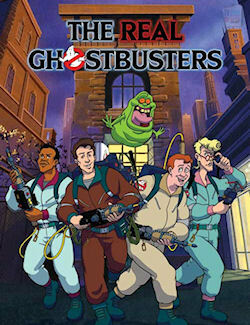 The Real Ghostbusters was last seen on the former Fox Family Channel (now known as ABC Family) in 1999, so has been a long time since it has aired on television. I ain't afraid of no ghost! FEARNet does have an original sitcom titled Holliston and it wrapped up its first season this past spring with six half-hour episodes. The Adam Green comedy was renewed for a second season and will return in summer 2013. FEARnet's first original scripted television series, is a riotous and offbeat multi-camera, buddy comedy starring Adam Green and Joe Lynch. Set in the town of Holliston (near Boston), the series shines a light on the post-college life where everything is a struggle, and nothing works out like it's supposed to. With terrifyingly funny results, Adam and Joe struggle to become big-time horror filmmakers while hosting late night scary movies at the local cable station, and Adam embarrasses himself as he tries to win back his high school girlfriend. Think of Holliston as Big Bang Theory meets Evil Dead 2. The ensemble cast features Laura Ortiz, Corri English (Worst Audition Ever, lead singer of Brokedown Cadillac), Dee Snider and Oderus Urungus.